What is RocketCat Games up to lately? 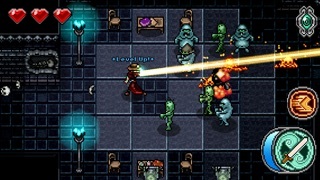 Discussion in 'General Game Discussion and Questions' started by MasterChief3624, Jul 6, 2012. I haven't seen anything on RocketCat Games since Super Quickhook came out. What on Earth have they been up to since then? Anyone able to fill me in? How'd you manage to miss Mage Guantlet? "Download Mage Gauntlet. The time you spent reading this review could've been much better spent playing this incredible game." 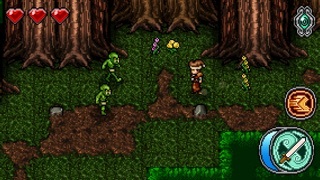 -- Toucharcade.com Review Mage Gauntlet is a classic-style action-RPG, designed from the ground up for iOS. 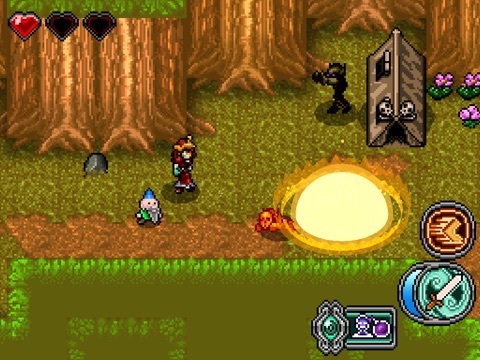 It's inspired primarily by 90's action RPGs for the Super Nintendo, such as Legend of Zelda: LTTP and Secret of Mana. 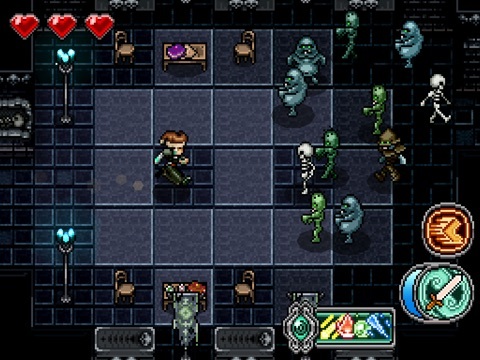 We wanted to make a fast-paced RPG that doesn't waste your time with fetch quests. 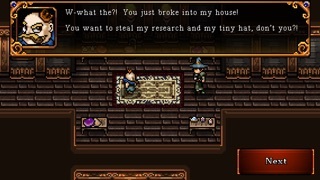 Fight and explore your way through a humorous storyline about eccentric wizards, powerful artifacts, and dangerous monsters. 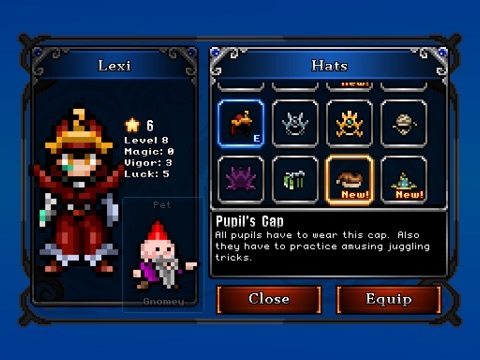 Find items to customize your character's strengths and weaknesses. 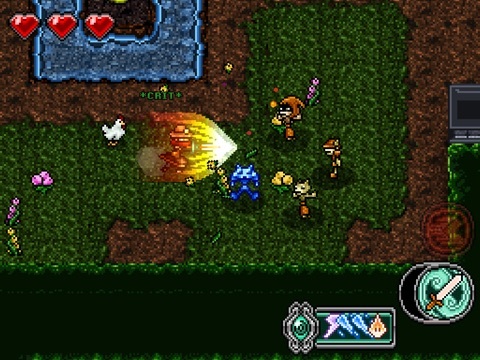 Enjoy smooth, responsive controls and fast, satisfying combat. When you beat the game, unlock a remixed Master Mode with overwhelming enemy numbers and new secrets to uncover. 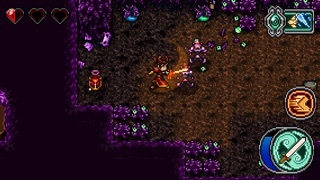 MAGE FACTS - 84 levels (half normal, half in Master Mode) - 86 achievements - 110 hats (important) - Variety of loot that adapt your character to different tactics - 19 pets that follow you around and give different bonuses - Quick leveling and stat system lets you customize character further - Dash and Charge moves let you slip through enemy spell attacks ********* More updates planned! Follow us on Twitter @rocketcatgames to send us suggestions! Fair enough If its really been that long, you may have missed Hook Worlds as well, which I believe was the third in the hook series. 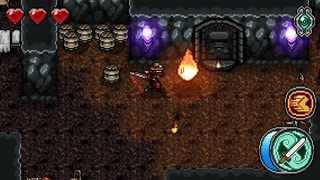 What they're up to LATELY, I believe, is "Mage Dungeon." I didn't check the link, at any rate. They announced a sequel to Mage Gauntlet not too long ago. 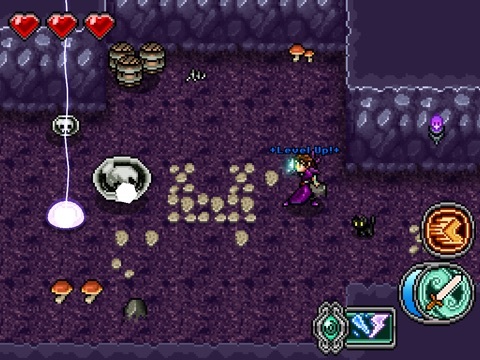 i think they are pretty close to finishing the punch quest game, so that means hello mage dungeon. really looking forward to that one. they might be working on both who knows.